Inbound, LLC is a Type 1 accredited assessor for firewise (SWO-080). We are part of implementing the Oregon Forestland-Urban Interface Fire Protection Act in Jackson and Josephine counties. Inbound, LLC is a level 2 licensed general contractor in the state of Oregon. We have the capability to perform large commercial remodels and small residential projects. We specialize in painting, insulation installation, framing and sheetrock installation, and small concrete work. We can also certify for Firewise compliance. 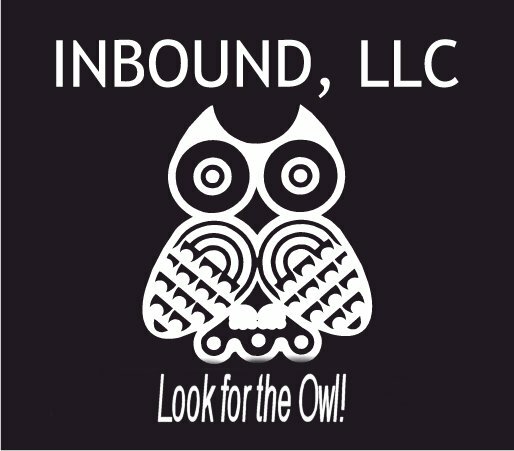 Inbound, LLC strives to exceed our customers expectations. We will provide reliable personnel with excellent equipment at a reasonable rate. Give us a call at (503) 892-3663 to request a quote or try out our attractive time and material rates for a day so we can demonstrate our capabilities. More and more Oregonians are living in what is known as the wildland-urban interface - where homes and other structures are built in or near forests. This population expansion into rural areas has increased the risk of human-caused fires in the forest and has also placed more lives and property in the potential path of fires from forestlands. Today, more than a quarter-million homes in Oregon are at high risk from wildfire. Out of the 15.8 million acres of private and public forestland protected by the Oregon Department of Forestry, 3.5 million acres are considered wildland-urban interface. Included here on this web page are some quick, simple, and relatively inexpensive actions that residents can take while living, recreating, and enjoying outdoor activities in Oregon's urban-wildland interface and forests. In northwest Oregon, the Oregon Department of Forestry has partnered with Fox 12, and in 2009 stories will run each week on their "Better" and "Good Day Oregon - Home and Garden" television programs from May 1 through July 11 that focus on one of the wildfire safety topics listed above, with links to those stories added to this web page after the stories have aired. Links to other video clips on these same topics from previous years' stories on Fox 12 are also included. Spring is the perfect time to remove dead vegetation and limb up trees around the backyard. By taking these steps, homeowners in Oregon's wildland-urban interface areas can reduce the chances of a wildfire devastating their properties. Safe disposal of shrub and tree trimmings after spring clean-up work is crucial. Every year across the state, backyard debris burns to remove yard waste escape to become costly, damaging wildfires. This past year, 206 debris burns turned into wildfires, burning more than 400 acres and costing over $280,000 to suppress. The majority of these fires were started on small parcels of land, in the wildland-urban interface, by the landowners. Many communities offer services for disposal of woody debris - from accepting it at a landfill or transfer station to community chipping machines and services. Home composting and chipping are also excellent ways to dispose of your debris. These are the safest methods for disposal of woody debris, but if those choices are not available to you and burning is your only option, please follow some simple tips for safe burning responsibly. Whether in your own backyard or camping, barbecuing is a great tradition in Oregon and a welcome activity. By following a few simple safety tips, you can have a safe barbecue wherever you choose to cook in the outdoors. Removing dead and dying debris - particularly from places that it piles up near the home such as in gutters and planters, any "valleys" that can catch debris that embers and sparks can blow onto - the most common way for a wildfire to damage or destroy a home in the wildland-urban interface. Storing firewood at least 20 feet away from the home or completely covering it to protect it from those same blowing embers and sparks. Properly maintaining the plants that are in the area - pruning, removing dead and dying materials, and keeping them well-watered and green. A defensible space also allows room for firefighters to fight the fire safely. While these steps do not ensure that your home will survive a wildfire, they substantially increase the chances that it will. The below photos illusltrate a residence in northwest Oregon before and after actions were taken to protect this home from wildfire. Fire-resistant plantings and landscaping is another great way to protect your home from wildfire. Using alternative building materials, proper spacing of materials - keeping flammable materials away from the adjacent area of your home, and using fire-resistant plants can greatly reduce your wildfire risk. Fire-resistant plants do not readily ignite from a flame or other ignition sources. They may be damaged or even killed by fire, but their foliage and stems do not significantly contribute to the fire's intensity. They can be used to create a fuel break that reduces and blocks intense heat. Plants that are fire-resistant have moist and supple leaves; little dead wood or accumulated dry, dead material within the plant; water-like sap with no strong odor; and low sap and resin. Most deciduous trees and shrubs are fire-resistant. Plants that are highly flammable generally have fine, dry or dead leaves or needles within the plant; their leaves, twigs and stems contain volatile waxes or oils; the leaves have a strong odor when crushed; the sap is gummy, resinous and has a strong odor; and some plants have loose or papery bark. An example of a highly flammable shrub that is often planted in home landscapes is juniper. It accumulates dead needles within the plant and has volatile oils in the foliage. Even fire-resistant plants will burn if not well-maintained, so be sure to keep all of your landscape plants healthy with watering and pruning. Annuals also can be part of a fire-resistant landscape if well watered and maintained, as can a well-maintained lawn. Bark mulch, however, can ignite easily, gravel or decorative rock can be good substitutes. Conifers and other large trees that are next to the house should be pruned to a height of 15–20 feet above the ground, or to just above the lower roof line, to keep fire from reaching the house or tree crowns. Remember: Fire resistant does not mean fire proof! Check with local Extension Offices or a nursery to find out which plants are adaptable to your area and to avoid planting invasive plants. Motorcycles and off-highway vehicles continue to become more and more popular and can be a fun outdoor activity. Safety is always a primary consideration and fire safety is part of that. Each year, users of these types of vehicles - usually unknowingly - are responsible for human-caused wildfires. Always check with the local fire district to learn of any fire restrictions that are in effect in the area you will be riding. Make sure your vehicle's exhaust system has an approved spark arrester. Check the spark arrester to ensure it is clean and undamaged. Also check the exhaust system to make sure that nothing is loose or damaged (holes, etc. ), that could allow small sparks to be blown out that could start a wildfire. Check the rules for off-highway travel in your area. Motorcycles and off-highway vehicles may be restricted to certain types of roads, depending on the fire danger level. Avoid riding or stopping in tall grass or brush at all times. Vegetation that comes in contact with a hot engine or exhaust system for only a few seconds may smolder and eventually ignite. Riding in designated locations or on trails designated for off-highway vehicles is always safest. In northwest Oregon, the Oregon Department of Forestry has designated off-highway vehicle recreation areas in the Tillamook State Forest, such as Browns Camp, Jordan Creek, Trask, and Diamond Mill, and there are off-highway vehicle areas - Sand Lake and the Oregon Dunes - located in the Siuslaw National Forest. More information on off-highway vehicle riding, locations, rules, and training requirements are available on the All Terrain Vehicles portion of the Oregon Parks and Recreation Department's website. Call the local fire district to ensure that open fires are allowed where you plan to camp. Check the rules for fire tools that apply to your campsite. These may vary, but at a minimum have a one gallon or larger bucket filled with water, a shovel and an ax. Select a site for your campfire that is away from buildings, autos, tree trunks, fallen trees and low overhanging branches. Scrape all leaves and litter away down to bare earth for at least five feet on all sides of the fire. Surround the campfire site with rocks. Build your campfire downwind and at a safe distance from your tent. After you light the campfire, throw the match into the fire. When it’s time to leave the campfire, make sure you put it out – DEAD OUT! Drown all embers, sticks, and coals, especially those that might have fallen under the rocks. Stir the coals to make sure all heat has been removed, then drown the area again. Children should never be left unsupervised around campfires. Only adults should attempt to extinguish a campfire, so that children do not get steam burns from pouring water on a hot fire. Adults should be upwind of a campfire when pouring water onto the fire to put it out to minimize the risk of them getting burned by the steam. Everyone enjoys a great fireworks show - especially when celebrating our country's independence on the Fourth of July. However, even legal fireworks can start wildfires, and if you or a child under your supervision causes a wildfire with fireworks, you may be liable to pay the fire suppression costs. On a large fire, this can run into millions of dollars. Fireworks are prohibited from most forested areas as well as the wildland-urban interface. In areas where fireworks are allowed, they must be of a type that does not fly, explode, or travel more than 12 feet along the ground. Bottle rockets, Roman candles and firecrackers are illegal in Oregon. More information about the legal restrictions on fireworks in Oregon can be found on the State Fire Marshal's website. Fire lookouts, once the only means of detecting wildfire starts, have since been augmented with aerial patrols. And recently, automated detection systems have further enhanced fire detection. Staffed by expert observers, fire lookouts are located at vantage points with a broad view of the forest. Aerial patrols are flown in small airplanes following thunderstorm activity to detect lightning-caused fire starts. Automated smoke detection systems combine video cameras with sophisticated computer technology to scan the forest landscape 24/7, identifying possible wildfire starts, and reporting them to fire managers. Each year, the first week in May is proclaimed "Wildfire Awareness Week." This week is set aside each spring to remind everyone that we live in a beautiful, but high wildfire-risk state. Living here comes with a price. And if we are going to "keep Oregon green", we all need to do our part to act responsibly while living and recreating in Oregon's forests and rangelands.